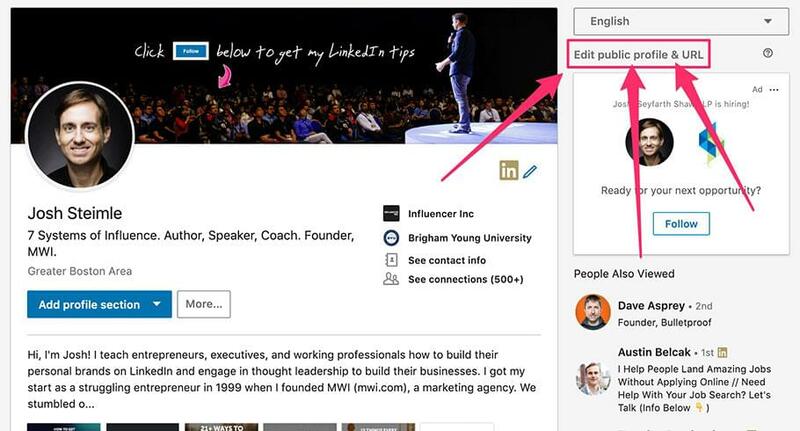 Customizing your URL on LinkedIn is not mission-critical, but it’s free and takes all of a few seconds, and can make a difference in how others perceive you because it looks more professional, so why not do it right now? 1. 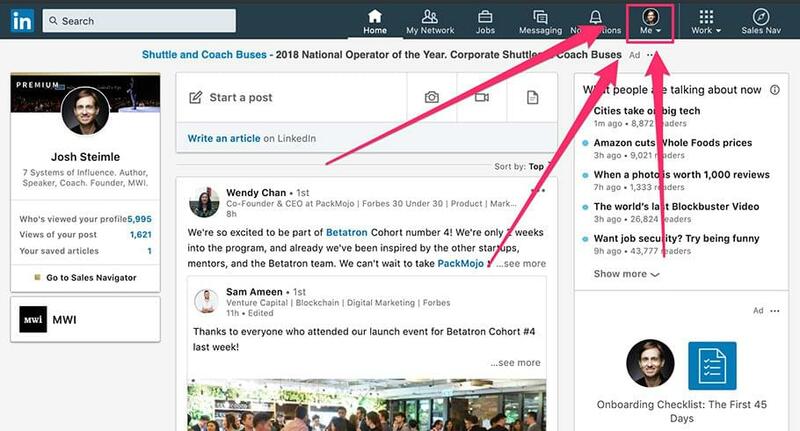 Click the Me icon at the top of your LinkedIn homepage. 3. 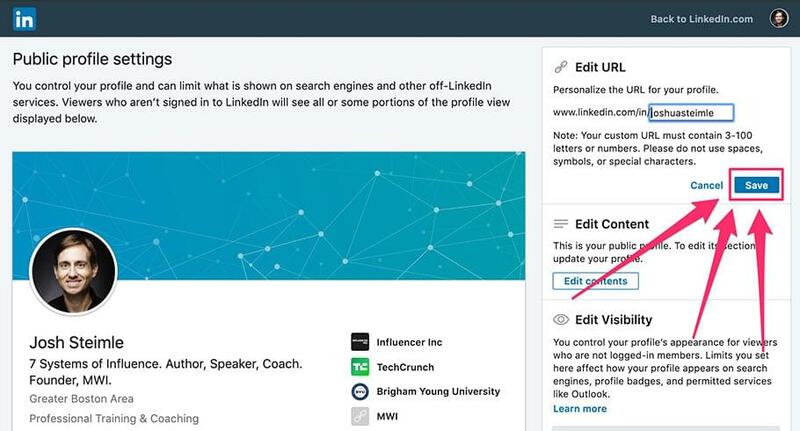 On your profile page, click Edit public profile & URL on the right rail. 4. 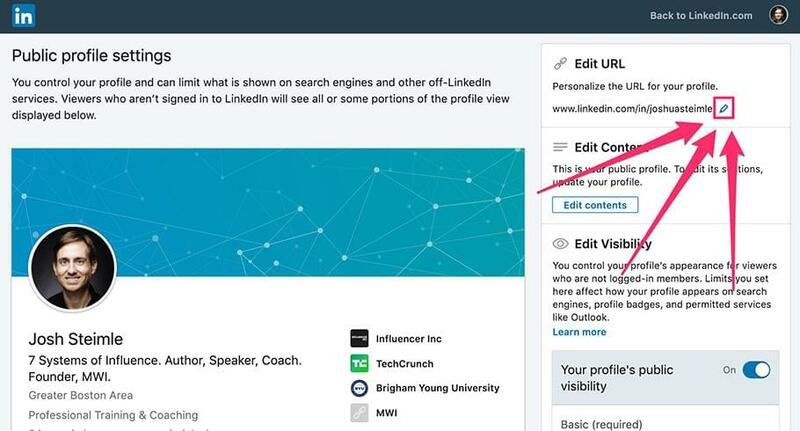 Under Edit URL in the right rail, click the Edit icon next to your public profile URL (It’ll be an address that looks like www.linkedin.com/in/yourname). 5. 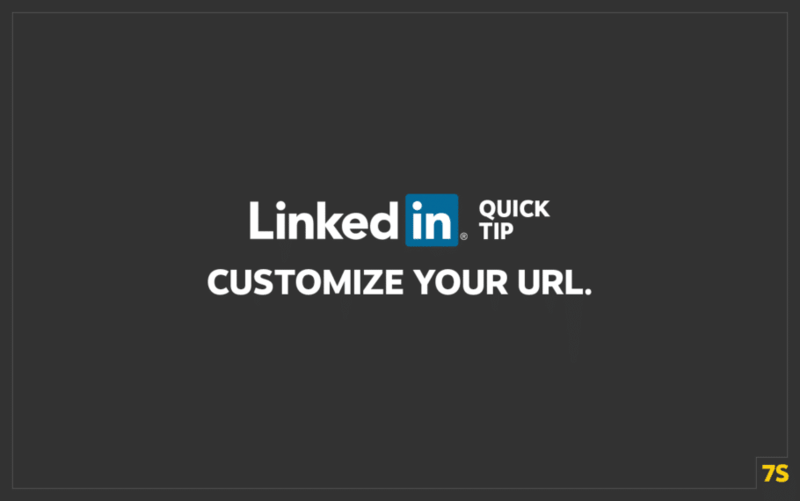 Type the last part of your new custom URL in the text box. I recommend you make your url your name. 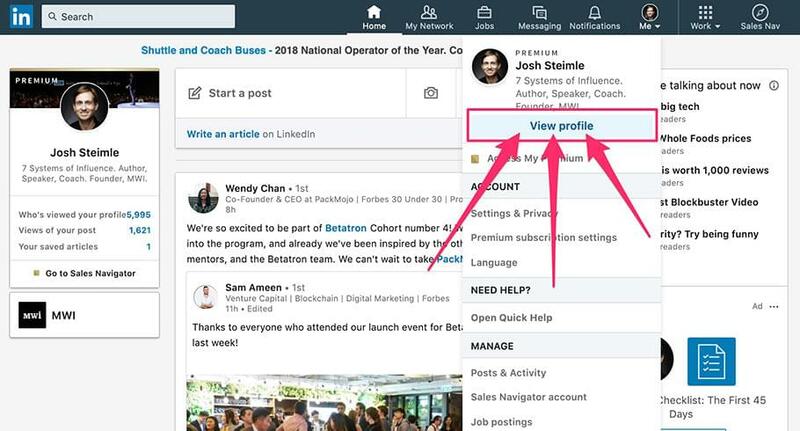 Mine is https://www.linkedin.com/in/joshuasteimle/. 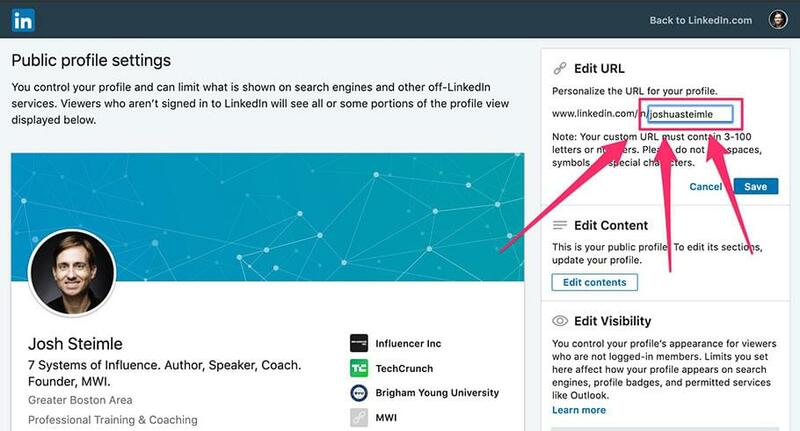 If your name is already taken, then add a hyphen, try your last name first, or create some other variation. Don’t use numbers, since that makes it look like it hasn’t been customized. Do this right now. It will take you perhaps 30 seconds.